"I’m also excited about the prospect of bringing together talented, high-energy and innovative people in Boston to tackle some of the biggest challenges in our industry. I’m confident that Humana members will appreciate what we come together to develop." 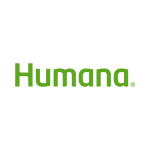 LOUISVILLE, Ky. & BOSTON--(BUSINESS WIRE)--Humana Inc. (NYSE: HUM), one of the nation’s leading health and well-being companies, announced today a series of moves designed to advance its capabilities in the areas of technology, digital health and analytics in support of its integrated care delivery model and its ongoing work to develop differentiated health care experiences. Humana will establish a center for digital health and analytics, to be known as Humana Studio H, in Boston’s Seaport neighborhood, where it can take advantage of a deep local talent pool and partnerships. Studio H will focus on pioneering new products and services that will then be developed for use across the organization. The company expects to employ as many as 250 individuals at this Boston location within the next five years. To help lead this effort, the company has named Heather Cox to the newly created position of Chief Digital Health and Analytics Officer, reporting directly to Humana President and CEO Bruce Broussard. In her new role, Cox will be accountable for building Humana’s digital care delivery operations and leading enterprise analytics. Integrating these critical capabilities across the organization will further accelerate Humana’s move toward differentiated health care experiences. Cox brings 25 years of experience to the role, most recently serving as Chief Technology and Digital Officer at USAA, where she led the teams responsible for designing and building personalized and digitally-enabled end-to-end experiences for USAA members. Prior to USAA, Cox was the CEO of Citi FinTech at Citigroup, Inc., helping the company adapt to a future dominated by mobile technology, and she headed Card Operations, reshaping customer and digital experience for Capital One. Cox will be based in Boston and oversee much of the work coming out of Studio H.
In addition to the Digital Health and Analytics group, a team of individuals focused on creating a new health experience for seniors will also reside in Studio H under the direction of Beth Bierbower, who has been with the company in a number of senior-level leadership positions. Bierbower also reports directly to Broussard. Humana Studio H will take shape in Boston’s Seaport neighborhood, where Humana has entered into a lease agreement for approximately 40,000 square feet of office space on two floors at 281 Summer Street. The location affords access to the area’s wealth of talent in digital technology, analytics and experience design, in one of the city’s most dynamic neighborhoods. Humana will build out the space using an open floor plan, designed to promote interaction and collaboration, and the company expects to complete the project in the summer of 2019.